that's kind of what i thought from looking at stuff, but wondered if any of the experts - you know the "qualified" ones - could say for sure. So the currently available state of NWP (numerical weather prediction, 1st acronym in already ). - ECMWF, European Centre for Medium-range Weather Forecasts, it's a collaborative venture between numerous european countries. They run twice a day (midnight and noon) and the freely available output goes out to 240 hours in 24 hour steps and consists of surface level pressure and 850 hPa temperature and wind charts. They run an ensemble of 50 members but we can't see it (except for one location in Holland, not much use). - GFS, Global Forecast System, the model of NOAA, National Oceanic and Atmospheric Administration, a US govt agency. They run 4 times a day (every 6 hours) and the entire dataset is published for free by a variety of sites out to 384 hours in 6 hour steps (the first 180 hours at 3 hour steps). You get everything with this one, pressure, precip, temp/wind at various heights etc. etc. They run an ensemble of 20 members. - UKMO, our own UK Met Office. They run twice a day (midnight and noon) and publish pressure charts out to 144 hours in 12 hour steps to T+96 then 24 hour steps. They also publish temp and precip charts out to 72 hours. No free ensemble data, don't know what they do. - GEM, the Canadian model, which isn't far off GFS and UKMO these days. On top of that little lot, we have the FAX charts. These are produced by actual human forecasters using the model output and they draw on the fronts, troughs etc. This requires a pretty high degree of skill. It can be quite illuminating to look at the met office's ones though, as they have full access to their own model (obviously) but also the ECM and GFS, so you can sometimes get an idea of which model the real experts have confidence in. So where can I look at all this stuff, brian, I (don't) hear you cry ? Afternoon all. This chart looks really useful - lots of info on one page. However, I am not 100% sure what everything means. Can someone help? OK, I think that the first chart shows cloud cover in 3 sections, high cloud, mid layer cloud and low cloud. If the white bit is fat, it means it is pretty cloudy. If the white bit is thin, it means it is less cloudy. Does the size of the white bit equate to % (ie a full bar = 100% cloud cover)? The 2nd chart I take to be pressure at sea level. The third chart is wind I think, and the higher the green line the stronger the wind is. Anyone know what this is measured in? Also, do the black lines give direction, and if so how do you read that? The third line is temp. Is this given at the 850 hpa level? The final chart is precipitation. What do the red lines mean? - correct on cloud and surface pressure (bodendruck). - windspeed is in knots (1 knot = 1.15 mph), direction is shown by the black lines as if they were the needle on a compass. - Temp is given for 2m above the surface at whatever altitude the surface happens to be at (the one you've linked is 1862m, given at the top right). Red and blue lines are temp max/min, black is the dew point. What about the fact that the main lines have little lines coming off them? And which end of the line is the direction? Red and blue lines are temp max/min, black is the dew point. Where does the dew point have to be in relation to temp in order for precipitation to occur? Or can it vary? I'm getting there, thanks in advance for your help! brian, I knew you would be the man in the know - thanks! If anyone could accurately forecast 10 days ahead, they would be very wealthy indeed. Have a look at the synoptics for a few days on the trot for just 5 days forward and see how many of them are accurate. You will find its very few, unless we are talking about massive high pressure systems and stable jet streams. At the moment its hard enough to get accurate 3 days ahead. I wouldn't throw away your fleeces just yet. Just seen the query above, now rather old. The number of little lines coming off indicates speed - the more lines, the windier. The end without any lines points to where the wind is GOING. My 1st post although I've been reading this website for a couple of years!! I have a quick question that I hope somebody can help with - I'm trying to figure out how to get the chart with the wigglies on it for Val D'Isere (or nearby). I think there used to be a link on this thread for Tignes but I can't find it anywhere now. Any help would be great - maybe if somebody has time they could post the link please? 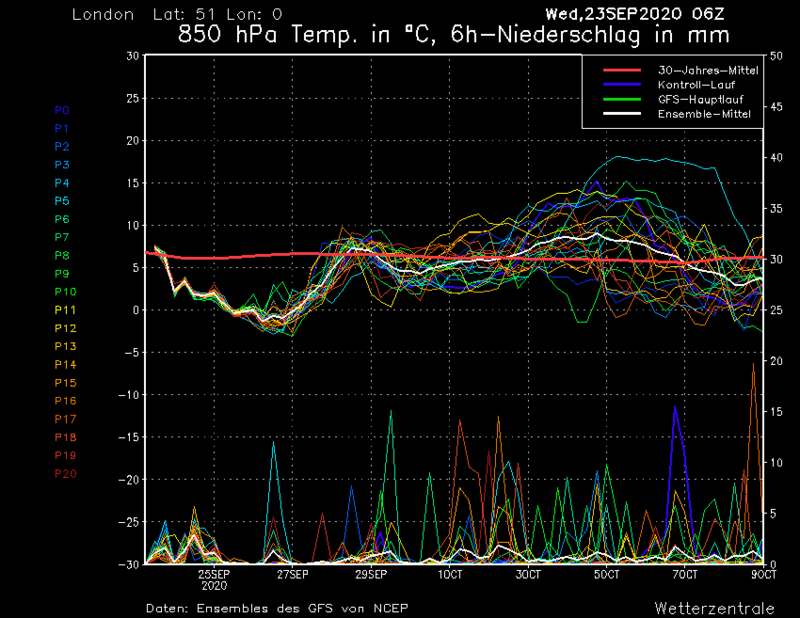 (I've tried going through the wetterzentrale website but I always get the wrong charts somehow). Am off on Jan 18th and whilst I know its too early I can't help but start watching the forecasts! This shows the high;mid;low level cloud (blue is sky, grey is cloud): pressure: wind speed & direction: temperature: humidity (I think) & precipitation. Geoffers, Rogg - many thanks & happy new year! Not sure if this is the right thread, but just wanted to give a quick heads up on some new forecast options on TWO. On the homepage you can now select 'Winter Sports' from the drop down menu. Once it has updated you can begin typing the name of the resort and the autosuggest will show you available options. Once your option is selected you can then either pick the 16 day or day forecast options for your forecast. If you want to use the old method for picking a resort and plotting graphs (as well as seeing the 16 day weather forecast, go to this page and select from the drop downs in the page body rather than header. Time permitting I intend to add in more features to the winter sports forecasts before the start of the new season. Let me know if you've got any questions or requests. bwg, Looks great - easy to understand for GFS phobes like myself. is there an altitude option to see the precipitation snowline on the way? "Looks great - easy to understand for GFS phobes like myself. is there an altitude option to see the precipitation snowline on the way?" There isn't at the moment. There are a number of different ways of calculating the snowline, but I'm not convinced any of them are entirely reliable. Does anyone here have nay thoughts on the best way to approach it? Data such as freezing level, 850hpa, thickness and lapse rates are availableto be used in the calculation. Rain turns to sleet and then to snow, and at first will be slushy and not accumulate etc. Is the snowline at the point where the transition begins or where the snow starts to accumulate? This isn't nearly as detailed as some of the stuff you guys have been posting, but this ( http://www.worldreviewer.com/ski-conditions-map/?region=#50.2408:-48.7084:3 ) has some good, basic info (like snow depth) for a lot of different areas in one place. Pretty idiot-proof, I should think. 2) Click "Get GFS graph button"
Any suggestions or comments as always appreciated. Hello, to help me find the weather wiggles more easily I set up this map on Google over the weekend - just click on the snowflakes to see the plot for that latitute / longitude - initial version is small but click on it and the full version will appear in a new window. thebongolian, did you not see mine 3 posts up? ski-finder, thanks for the link, the graphs are very interesting, but it is a mystery (to me at least) why even 24 hours away the green GFS Hauptlauf can be so different (relatively anyway) to the apparent convergence of all the other so called "wiggles". The GFS graph for St Anton, etc (47/10) shows it now (03FEB 12Z) even better than the graph above. Anyone know what accounts for the difference and what we should have the greater confidence in? what about it? snow from gfs!!! Hi, does anyone know where i can find a GFS chart for Chamonix? Find the lat & long of the location your after (Cham), then type in the (nearest whole number) values into an existing "wigglies" link - may not be the exact location, but near enough. NWP charts are based on rather coarse datasets. A 1 degree model only has datapoints every degree on the surface. About 60 nautical miles apart in latitude and a bit less on longitude depending on how near the equator you are. 60 degrees North = 1/2 mile. THe terrain is modelled at the same scale so mountains are severely flattened. Really accurate depiction in the mountains requires a totally different forecasting technique. A lot of this is based on local knowledge of empirical rules built up over many years. For example most of the Tarrentaise resorts would fall within one or two grid squares. And we all know how different the weather is from one part of the same mountain to another far less from one resort to another. However NWP is a great way of getting a qick and dirty view of the general trend in temperature and precipitation. I am an WMO accredited forecaster so I do have a little bit of knowledge here. edited to add after contemplation. When I say basic knowledge. I say that as post graduate qualified Meteorologist. I read the course descripition for mountain weather and might reappraise 'basic' as at least a gcse in met preferably an A Level. Bit like on day three at ski school after mastering standing up on the flat. "...and now for steeps and deeps children." But seriously, GCSE MET courses are all over 'interweb. Maybe even at your local schools in evening classes. There is a whole new world out there. The snow pack assessment module at MetEd is 'easy' to approach and is worth its weight in gold. Its a BIG picture module and goes far beyond off piste and back country but tune in and enjoy. listen to the back country skier on page 1.2. Graupels are like soft hail, the sort you sqeeze and it squidges. Bet you all wished you had never asked. I am trying to find the GFS Charts for Nendaz, Switzerland and Les Gets, France without any luck (the old links I have saved have stopped working ) - can someone assist?